Although home hunting is nowadays a quite common activity in the Anglo-Saxon world, it’s still a fairly new concept in France. The house hunter (or home hunter) is acting in a totally different way than the traditional real estate agent who is willing to sell his own listing. Domicilium stands on the buyer’s side and can advise his clients on the best course of action to take in purchasing markets whether they are in the need of a family house or an investment opportunity. The company provides a personalized service through a fine analysis of the property market. and of course, anyone who feels secure to hire a dedicated professional buying agent knowing he will be on the best position to negociate on his behalf in an extremely competitive market and who will offer him, key in hand, the home he always wanted to own. The benefits of hiring Domicilium : our know-how as house hunting agency totally dedicated to your research requirements. Making phone calls to individuals or companies and arrange lots of meetings and appointments. Having to deal with real estate selling agents who seem to suffer from inertia and are more concerned with getting rid of their own property listings than trying to satisfy your demands and needs. Visiting properties that do not meet your criterias or being convinced that you are being abused. Feeling as disappointed as you were initially excited by the advertisement. Domicilium will undertake all this exhausting and long research work for you, thus saving you precious time. 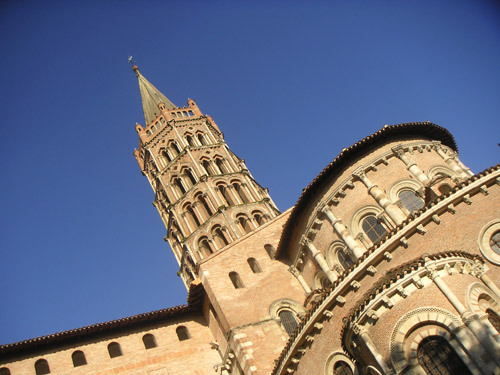 Domicilium’s constant eye on the whole property market of the Toulouse region (individuals, agencies, notaries, estate administrators, auction sales, estate agents, etc), our deep knowledge of the town and the south-west region provide the guarantee of a wide choice of property and in a very short time. The risks of missing a golden opportunity, of not seeing what you should really have seen, are minimized. On the other hand, your chances of finding just what you were looking for are maximized. Domicilium offers a tailor-made and secure service through an experienced agent who, fully aware of your wishes, will do his best to defend your interest. As a genuine guide, his objective is not to get rid of one case but to seek and find for you what you are looking for. Consequently, his search will be successful and his proposals objective. Therefore, pointless traveling resulting in waste of time is avoided. You will only be invited to visit properties which already match your criteria. Totally dedicated to your cause, your Domicilium agent will be in permanent contact with you and will inform you in real time. Dynamic and accessible, yet offering secure technical and legal advice, your partner, Domicilium, adapts to your schedule and stand by your side through the whole purchasing process. Domicilium's independance on the real estate market assures you the best answers to all your needs.